Bharatiya Janata Party (BJP) leader Subramanian Swamy on Wednesday sought more time to produce evidence in support of his complaint against industrialist Ratan Tata and others in connection with the 2G spectrum case, following which the matter has been adjourned sine die. In the previous hearing, a Delhi court had rejected Swamy's request seeking directions to the Central Bureau of Investigation (CBI) to file a status report in the ongoing probe in the matter. 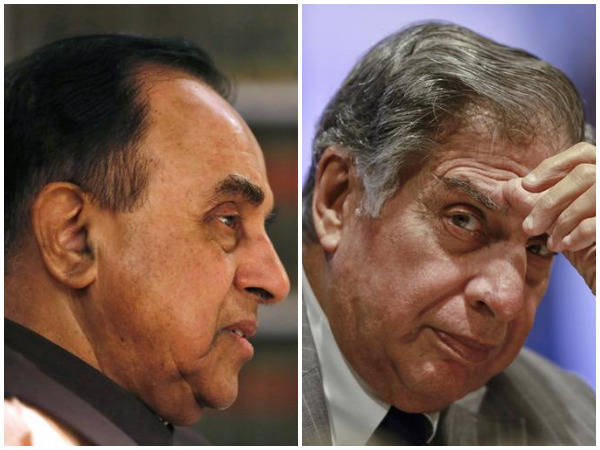 Swamy has claimed that the CBI had confirmed that further probe into Tata's involvement in the 2G case was underway. The BJP MP in December last year filed a complaint against Tata, Radia, former Telecom Minister A. Raja and senior Unitech officials for allegedly laundering money to Unitech companies to obtain 2G spectrum licence. Swamy, who filed the complaint in the CBI Court, also named unidentified CBI officials for protecting Tata in the 2G spectrum case. Swamy alleged that various Tata Group companies were used to route the money to the various companies of Unitech Group and finally managed to a launder a sum of Rs. 1,700 crore for their illegal purpose during the period of March 2007 to March 2008. Swamy said that the movement was facilitated by eight companies of Unitech Wireless. Swamy submitted various documents, including from the Ministry of Corporate Affairs' serious fraud investigation office (SFIO). He has requested court to initiate proceedings against the accused under various charges dealing with cheating, fraud, forgery, criminal conspiracy and under the provisions of the Prevention of Money Laundering Act.